According to mommy, I’m going through a phase of changing my baby teeth to adult sets…. She found some of my front teeth missing from place that day when she checked my mouth…. Mommy said I swallowed them…. 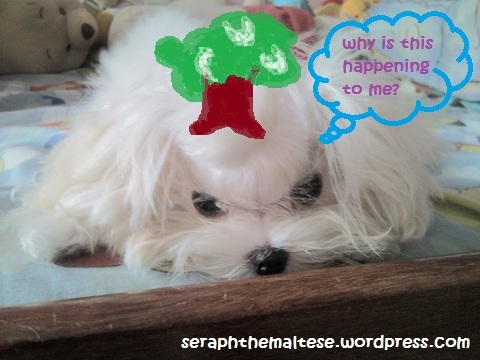 O.o Will the top of my head suddenly grow out a tooth tree?? Oh no…. Mommy has been telling me bedtime stories of her trip to Phuket to me…. She wished international trips could allow dogs as cute as me to fly, but unfortunately, this is not possible due to quarantine regulations…. As promised, I shall share a summary here…. On Day 1, nothing much was done, just checking in and resting. When they decided to go out to town for lunch, they saw someone walking a drenched Golden Retriever out from the path which leads to the beach…. Oh that lucky goldie had a swim in the sea! At night, they went to watch a Thai cultural show at Phuket FantaSea and mommy told me there were many elephants there…. I wonder what is that…. From mommy’s description, I think I’d freak out when I see a real elephant…. In FantaSea, things were rather well organised…. The tickets can be bought for show only, buffet only or both at a special price…. 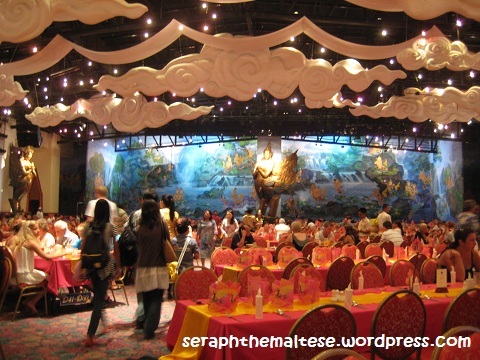 The buffet restaurant is really grand and seats 4000 people…. Each table is numbered so that everyone will have their seat! This is just part of the restaurant…. Which according to mommy don’t do justice to the whole setting…. Even entering for the cultural show, cameras and video recorders will be kept in a black bag by the counter staffs and after the show, collection is done very systematically and quickly…. Oh don’t care about having so much elephants there, I’m itching to goooo…. 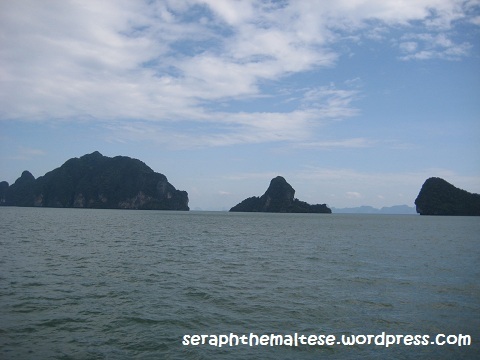 Here are some mid-sea pictures…. They didn’t do much on Day 3, just shopping for souveniers and oooh! they went to watch a rather interesting show! In Phuket it is called Simon Cabaret. The main peformers are known as ladyboys, which are males who are in the process of converting to females…. Mommy envied their beauty as some of them looked so pretty and feminine (except the voice part, no offence of course!)…. and they could dance very well…. “Yawn….” I think I wanna get my nap now…. I look so weird with some of my teeth missing…. Sobs…. 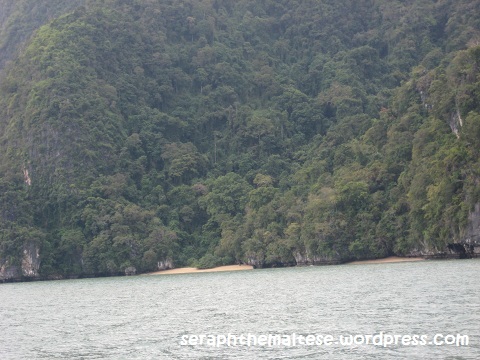 Sounds and looks like it was an amazing trip to Phuket. I bet Seraph was glad when you got home!